Purple Branched Coral (Clavulina amethystina). The coral mushrooms, so named due to the obvious resemblence to marine corals, are among the most beautiful and colorful to be found in the forest. This species is saprobic, almost always found in moss under hardwoods. 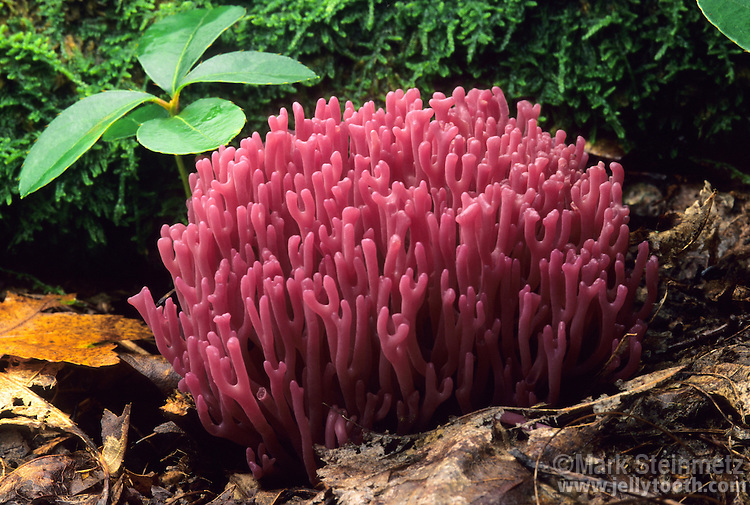 This species is very similar to Clavaria zollingeri, another striking pinkish purple coral fungi. Monongahela National Forest, West Virginia, USA.